There are only a very few regrets I have in regards to how we've conducted Amber's homeschooling. One of those is that I did not understand or utilize the concept of copywork as soon as we removed Amber from private school in fourth grade. If you know anything about Amber, you may think my desire to review a copywork resource at this point is a bit daffy, considering her Ehlers Danlos has greatly affected her hands. Still, I was rather excited to be given a Lifetime Membership to Homeschool Copywork. I was such a novice in the ways of learning outside of Amber's private school when we started homeschooling. I had a handwriting curriculum to allow Amber to continue to practice her cursive writing, which was absolutely beautiful. We even changed up the type of cursive she was using to make it more to her liking. So when I heard about copywork, I didn't even pursue the option thinking it was simply handwriting like we used. It is ever so much more though. Through copying meaningful works of literature, which can include many religious texts as well, children are exposed to proper grammar, a wide range of vocabulary, and even practice spelling. The copywork connects visual and physical actions while studying worthy samples of literature. Although Homeschool Copywork does quite kindly provide access to some of their products through a free membership, the Lifetime Membership (which is a long term version of the Full Membership) is well worth the cost. 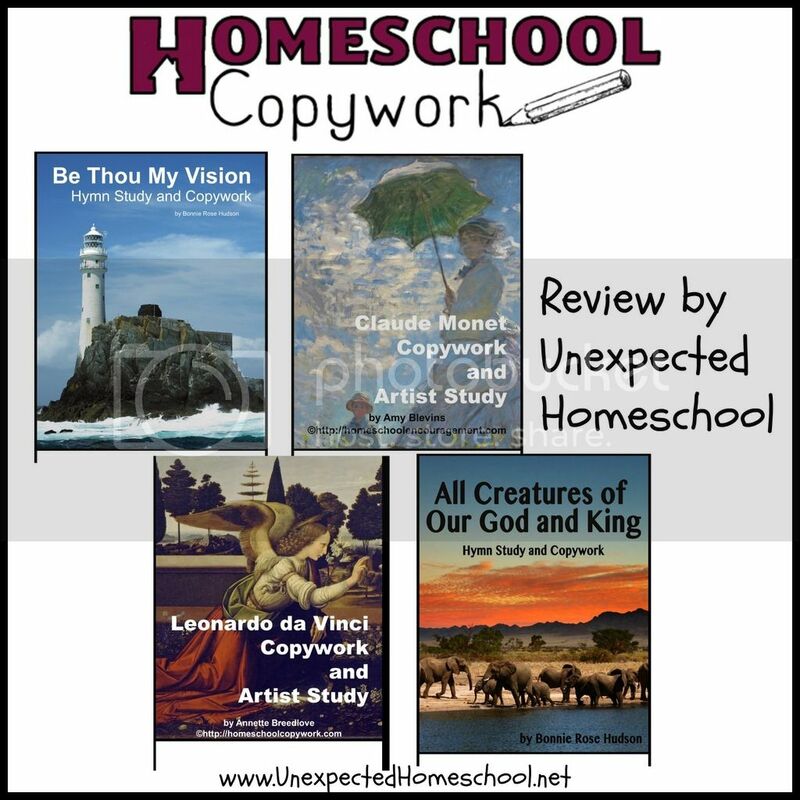 With the Lifetime Membership, I receive instant access to all of Homeschool Copywork's products; not only the current ones but any added throughout my membership period. And since new products are added every year, this means my resources are growing yearly too. The majority of the bonus products are notebooking pages for younger children about animals, transportation, holidays, and artists. However, there are two sets of notebooking pages on the human body and human life geared towards older kids. Many of the actual copywork e-books are suitable for all ages of students, but if you want to ensure you are looking for only your child's age, then clicking the button for the appropriate age group is your best bet. Each e-book has lovely graphics which either are a direct portion of the study, or enhance the copywork pages. Most of the copywork books provide five types of line styles for you to chose which best suits your student's needs. You couldn't ask for a better copywork source! As I mentioned earlier, Amber has quite a bit of hand and finger joint pain as a result of her Ehlers Danlos Syndrome, which makes writing difficult for her on even her very best days. She has several specialized pens and pencil grips to assist in creating the optimal writing environment for her, but still it's not always enough. We try to limit her physical writing to only what is necessary in order to save her from the strain and pain. So how did she use a copywork resource when she doesn't write by hand often? We started with the hymn studies, specifically All Creatures of Our God and King and Be Thou My Vision. Using her iPad, Amber read through the history of each hymn provided at the beginning of the e-book, and then read the text to each hymn. Only the first stanza of these two hymns are used in the copywork book. 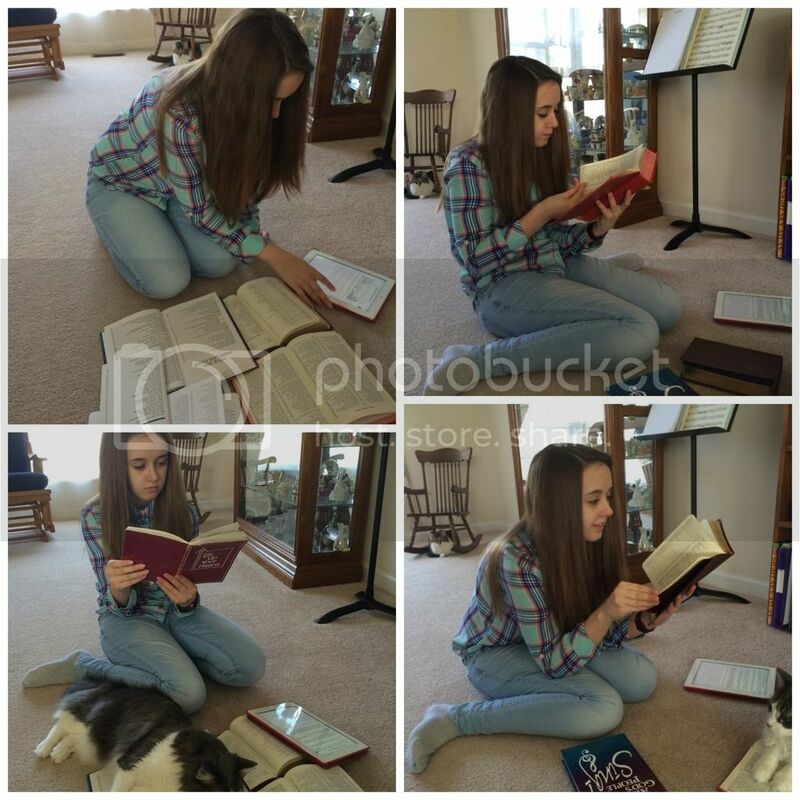 Amber readily recognized the hymns and was quickly singing them over and over again. We both noticed the words to the hymns felt slightly off, so we pulled out our current copy of the Lutheran hymnal to find that neither hymn is currently used. This resulted in joint research, seeking out these hymns to find how we know them so well. Eventually we found All Creatures of Our God and King in the blue hymnal (previous one), but to our amazement it appears that Be Thou My Vision has never been in an LCMS hymnal. We are still wondering how both Amber and I know this hymn. We rather enjoyed this little research project and it inspired us to use the remaining hymn copywork books. We read through their history page before comparing them to our Lutheran versions in various hymnals. It was a rather enlightening study to see how the subtle changes in wording can make a theological difference. Artist Studies. She was particularly interested in the Monet prints we already have at home. Once we had gone through all the hymn studies, I loaded the Claude Monet and Leonardo da Vinci artist study copywork books on Amber's iPad. She read through the artist biography in both books, read the artist quotes, and looked closely at the copies of their famous works. We talked about how the artists quotes related to their general philosophy and if that could be seen in their art work. Although Amber didn't complete any writing with these copywork books due to her physical limitations, we found them to be a perfect way to change up our studies. If your student is able to hand write, the benefit of these books from Homeschool Copywork will be incalculable. 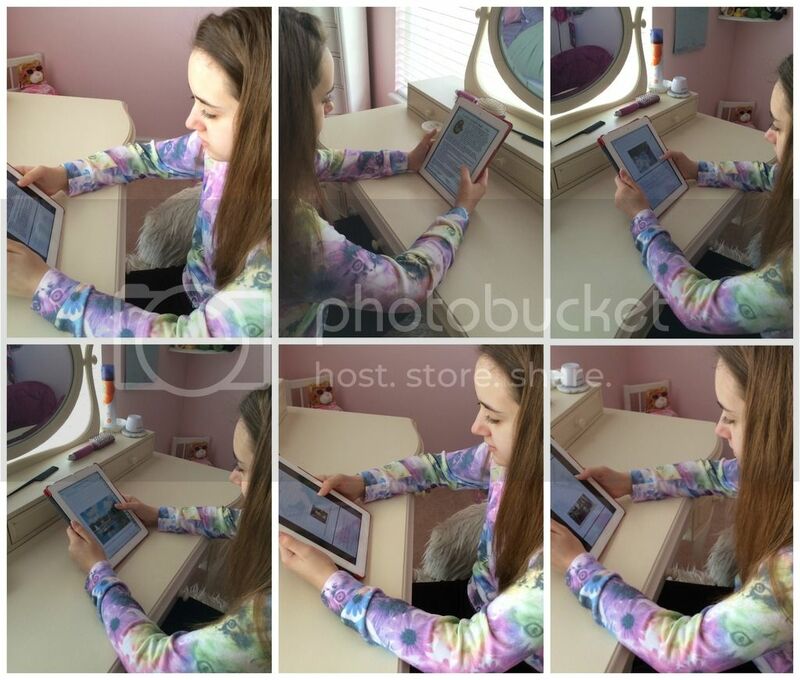 Visit other members of the Review Crew to read their experiences with Homeschool Copywork! I love the unique way you all used the copywork. You are such a great and creative mom. I think both of my children would have much better handwriting if I had utilized copywork more before this year. The artist studies have been my daughter's favorite! Great review, and I am sure very useful for families with children who struggle with writing.